A square bistro table with white laminate top. 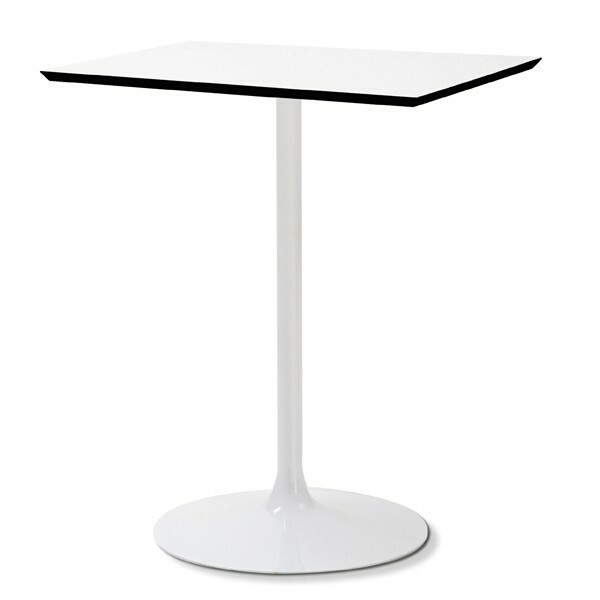 The steel base has a white glossy lacquered finish. Round version also available, see related products below.